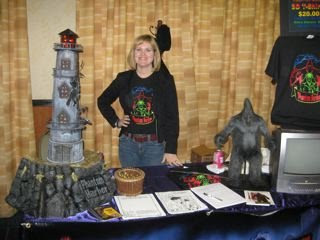 Erin Haggerty recently sent these images from the convention to share with all of you. 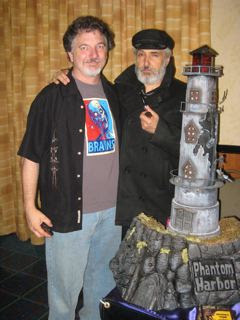 From the top we have Brett Dewey of Humerus Designs with our Cap'n. In the center is my wife, and live action director of the series, Tracy Shea. At the bottom is Brett's business partner and Erin's husband, Mark Tavares (a talented artist in his own right and a good friend!). Keep those photos coming in folks! 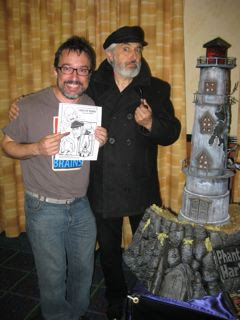 And make sure you check out the gallery because I'm still posting images the Captain has received on the Internet! The latest is from Marc Tyler of Animal Firm. Animal Firm is a company in Texas that makes the most realistic animal stand-ins and puppets, not to mention mascots and suits. Take a look at their site sometime: www.animalfirm.com. Until next time, I'll see you at the harbor! Where are the Rest of Your Drawings/Coloring Sheets? Not to worry! I've scanned in MORE artwork and have been receiving new pieces via e-mail, daily! 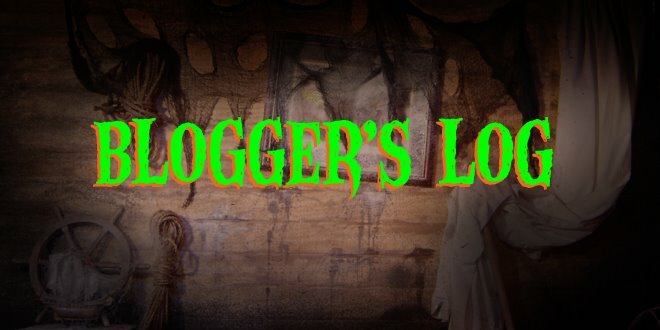 The response has been terrific and I should have everything posted by the end of the weekend! It's not TOO late! 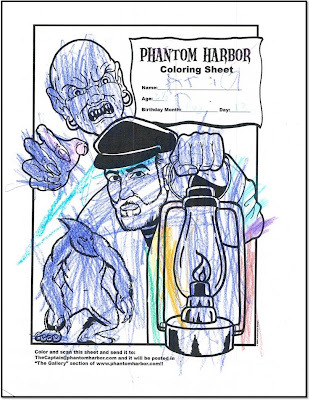 E-mail the Cap'n and request your own sheet, or dispense with the sheet, scan or create artwork on your computer and send it to TheCaptain@phantomharbor.com and your proud image will go up in our ever-growing gallery! So, sharpen your pencils, break out your brushes, wipe off your wacom tablets and get goin'! 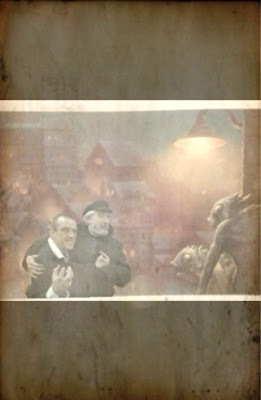 Uber-fan, Dirk Rogers found an old photo of he and the Captain when their travels took them to Innsmouth. Even though Dirk had a little to drink, he still managed to drive off a fair amount of Fishmen! Thanks Dirk, for sending this along. The Captain thought this was lost forever. Until next time, see you at the Harbor.